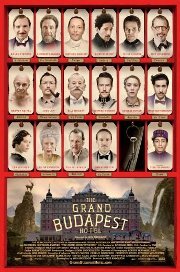 Wes Anderson is back with a very quirky storyline, that won high praise at the Berlin Film Festival and is doing remarkable business at a handful of US venues. The film recounts the adventures of M. Gustave, a legendary concierge at a famous European hotel between the wars, and Zero Moustafa, the lobby boy who becomes his most trusted friend. The story involves the theft and recovery of a priceless Renaissance painting and the battle for an enormous family fortune, all against the back-drop of a suddenly and dramatically changing continent.